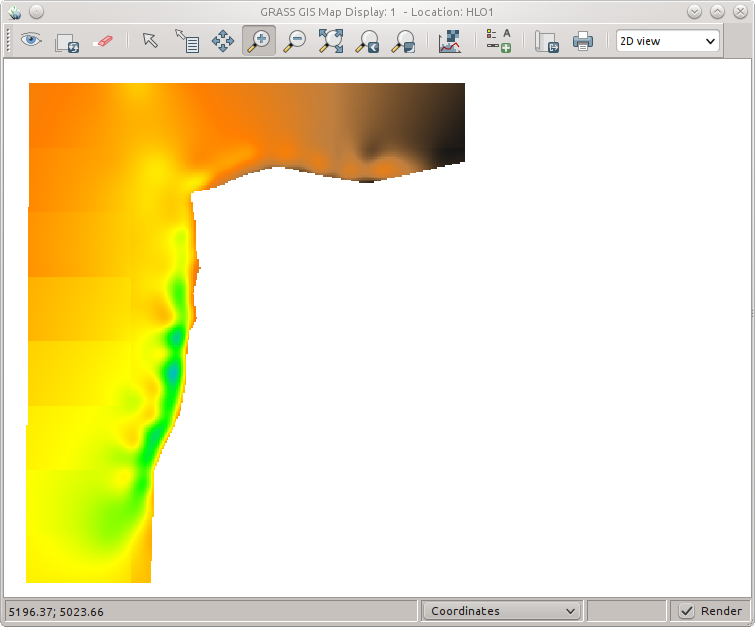 For the analyses of the excavation at HLO1 I created a digital terrain model of the site. 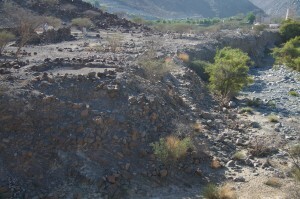 A problem I encountered was caused by the wadi edge west of the site (see picture). 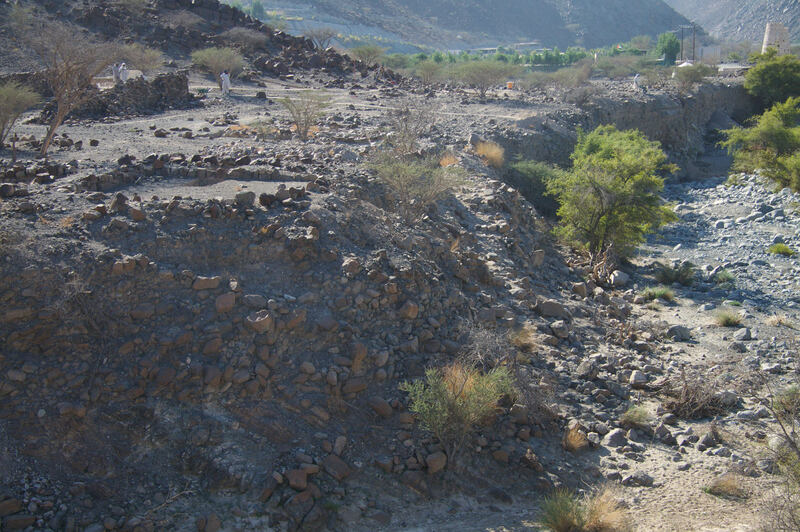 For the surface interpolation I have measured hundreds of points all over the site and down towards the wadi. I have also measured the edge of the wadi terrace. 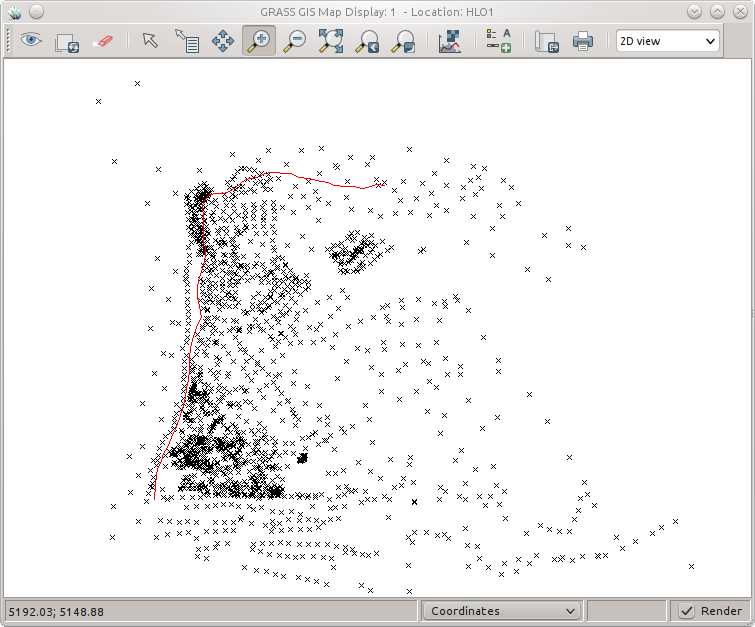 As software I used GRASS-GIS (Version 6.4). 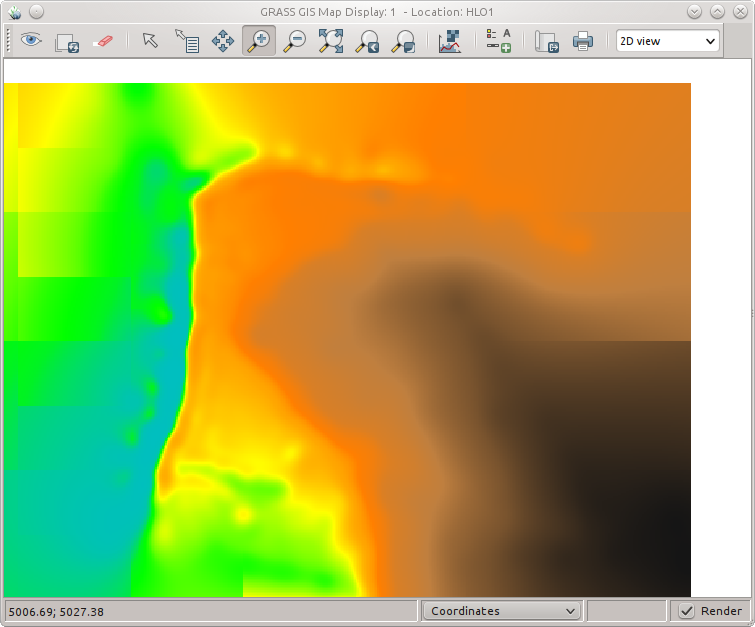 Using all the points in one step yielded a Digital Terrain Model (DTM), where the edge of the Wadi is smoothed. Therefore I decided to do the interpolation in two steps. In the next step I used QGIS do digitest a close vector polygon (blue in the next picture) which includes all the points west of the faultline. This polygon I imported back in GRASS. You can also do this step directly in GRASS. In the next step I wanted to use this polygon to create an vector mask. Before I could do this I had to run v.category on the vector layer with the polygon. Now I could run v.to.rast to get a raster out of the close polygon. I used this raster as a mask with the command r.mask. Because of the mask the calculation in the next step is limited to the mask. Last but not least I could calculate the surface west of the fault line. I used for example v.surf.rest to create an DTM from the west part. 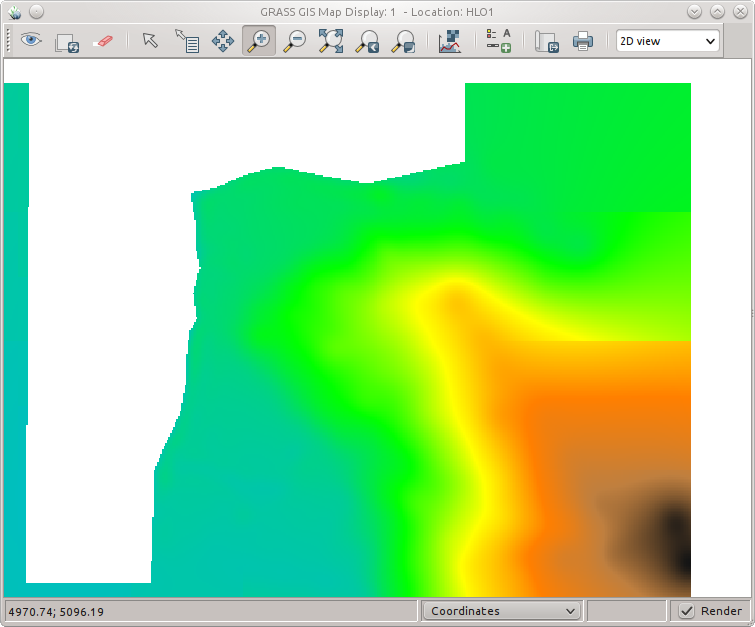 In the next step I had to use again the r.mask command but now with the -i flag to get an inverse Mask; Then we get a mask from the rest of the map and can calculate the DTM again. To combine the two raster files we have just created, we can use r.patch to get one big raster file from the whole site. Die Fritzbox bietet bereits seit Jahren die Möglichkeit als VPN-Server zu dienen. Unter Windows bietet AVM eine Software an, welche die VPN-Verbindungen herstellen kann. Unter Linux kann man z.B. strongSwan einsetzen. Mit der neuesten Firmware gibt es jetzt für Linux eine Möglichkeit, auch den Netzwerkmanager unter KDE oder GNOME zu nutzen. Hierzu wird die vpnc Software, die sich über den Netzwerkmanager steuern lässt, benutzt. Im nächsten Schritt muss die Fritzbox konfiguriert werden. Zum einen sollte ein dyndns Namen für die Fritzbox vergeben werden (eine Anleitung gibt es hier). In einem zweiten Schritt werden die VPN Einstellungen in der Fritzbox konfiguriert. Hierzu kann man über Software “FRITZ!Box-Fernzugang einrichten” von der AVM Homepage eine Konfigurationsdatei erstellen. Hierzu muss während der Konfiguration als Client-Gerät I-Pad/I-Phone gewählt werden. Da die Software nur unter Windows läuft, kann man unter Linux die Konfigurationsdatei auch selbst erstellen. Hierzu muss einfach der folgende Code in eine Datei kopiert werden. Die markierten Zeilen müssen jeweils angepasst werden. 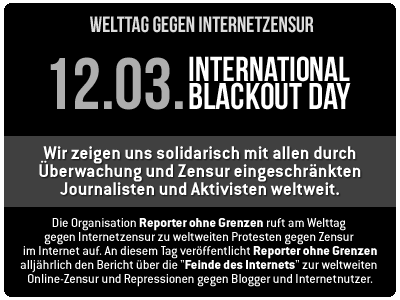 In Zeile 16 muss die IP-Adresse des internen Netzwerks der Fritzbox eingetragen sein. Diese muss auch in den Zeilen 44 und 45 angepasst werden. Falls man nicht den gesamten Internetverkehr über die Fritzbox leiten will, kann man die Zeile 45 entfernen. I love free software because it gives me the opportunity to experiment and work with all kinds of different software in my archaeological research and it gives me the freedom to modify the software I use. Thank you! My first idea was to use the find command in a for-loop. Here you see an example which prints out all folders on in the terminal. If you run this short bash script and you have folders (files) with whitespaces you will run in trouble. So my second try was a find command piped into a while loop. If you run this script the folders are shown in the right way. I hope you will enjoy reading it! Posted on January 24, 2013 February 6, 2013 Categories UncategorizedLeave a comment on Hello world!